Bumper Robinson - Bumblebee, Blitzwing, Porter C Powell. Each Voice Actor can do 3 voices per episode before having to be paid more. 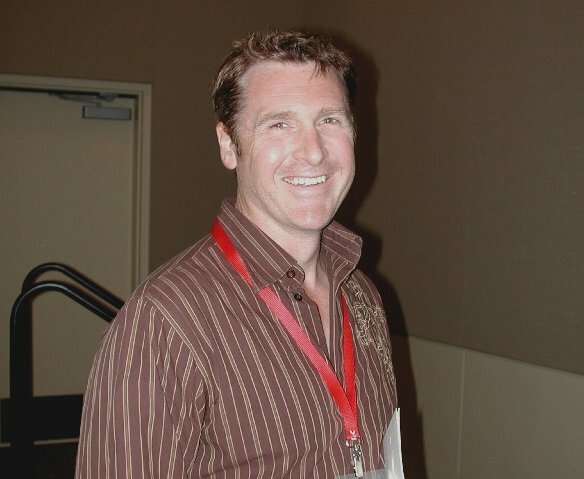 David Kaye says it is easier to play evil characters. Bumper Robinson said it was his favourite voice actor job so far. 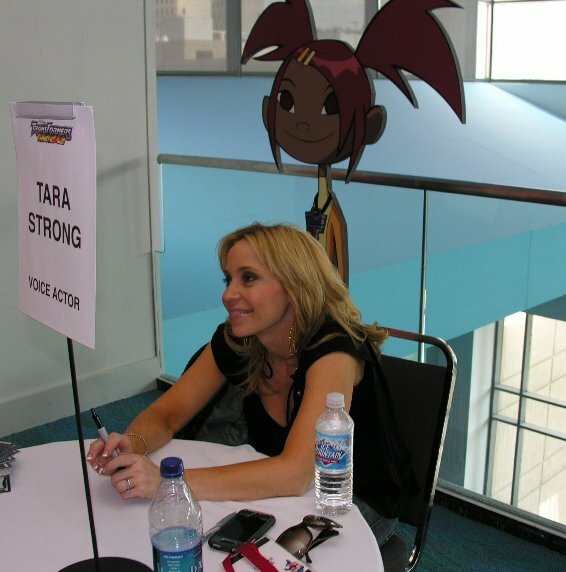 Tara Strong also voices Ben10 from the Ben10 cartoon, another very popular cartoon at the moment. The three did a fair bit of dialogue and routines in their character voices, including the annual drivethrough routine. And the other annual question was asked, relating to giving advice on how to get into voice acting (which the audience hates to hear being asked because the VAs reply everytime that it is a long process that has to start with regular acting first). Bumper was getting the best responses from the audience every time he did Blitzwing's voices, but he seem unimpressed about being there infront of hundreds of geeky fanboys in their 20s and 30s who were asking about toy characters on a cartoon. I almost expected him to have a William Shatner type outburst and just leave with his appearance fee. 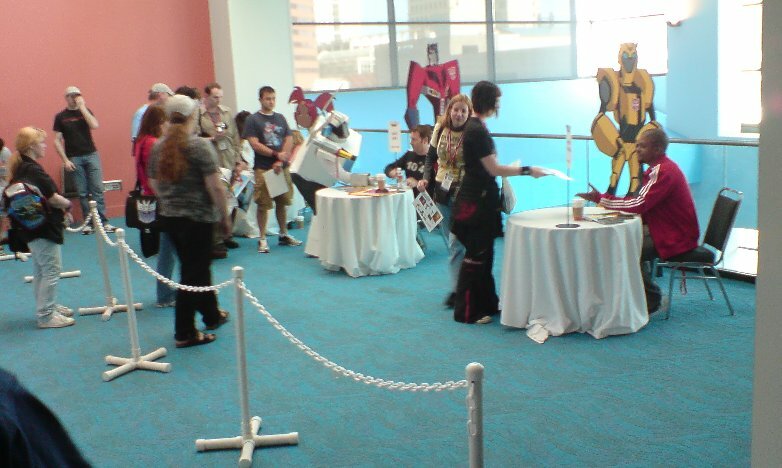 The VA panels are always a lot of fun though, and would love to see more of them (especially non-recent VAs) at BotCon. Above, Tara and Bumper (see, always looks unimpressed), and below, David. 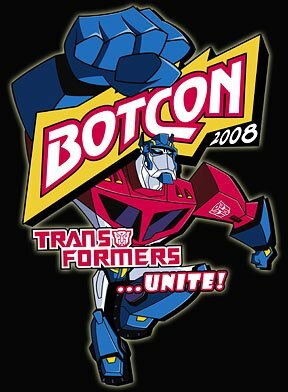 Both photos from BotCon website. 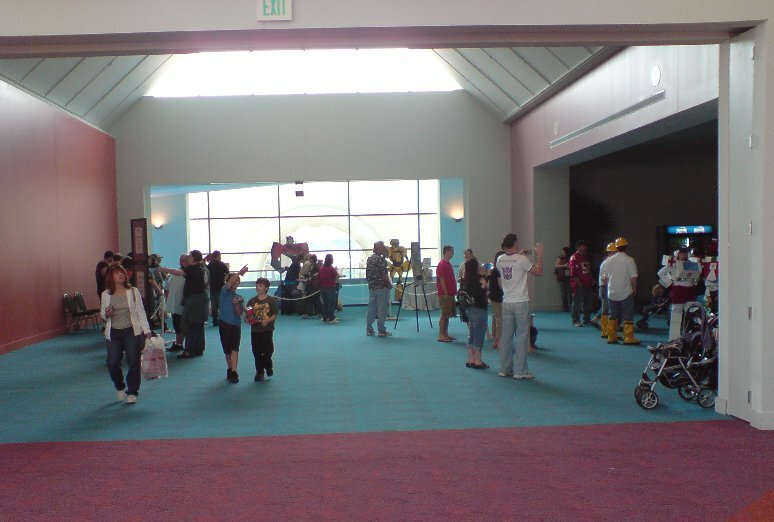 Back upstairs, at the Autographs area. And another of Tara Strong, uh, because she photographs well... :) (photo from BotCon website).